This two-day course gives new and aspiring leaders the foundation to build confidence, productivity and the ability to get things done through other people. We recognize the unique need for organizations to give their frontline and first-time managers a strong base to best impact the framework of long term leadership development and succession planning. 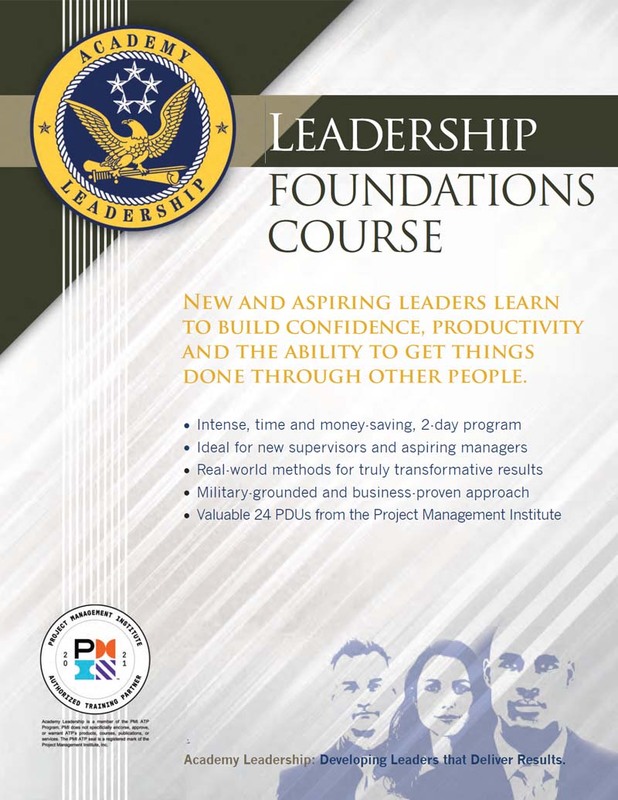 The Leadership Foundations Course is based on our renowned Three-Day Leadership Boot Camp. The program provides your supervisors with a leadership training experience that combines the best techniques of the world's most successful managers with those of the world's most successful military commanders. Your supervisors will walk away with the strategies, motivation and skills to be confident, more effective leaders. All PMI Members and Partner Organizations qualify for tuition savings! Simply view the complete list, and if your organization is listed enter the code PARTNER12 at the end of the registration process. Transfers or substitutions can be made at any time prior to the start of the program and are subject to a $200 administration fee. 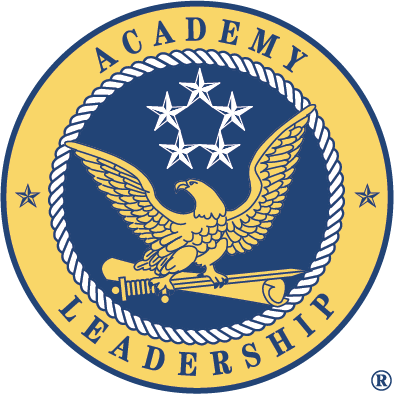 Transferees will have a period of one year from the date Academy Leadership is notified to attend a subsequent program offering. After a one year period, tuition fees will be forfeited. Cancellation notifications received at least 30 days prior to the program's starting date are subject to a $200 administrative fee. Cancellation notifications received less than 30 days prior to the program start date will be charged 25% of the total program fee. Receive 24 PDUs from the Project Management Institute.